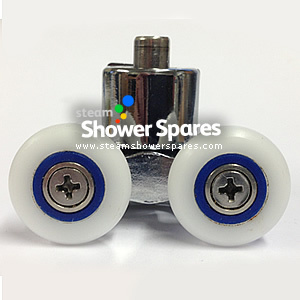 Shower door wheel cams rollers. 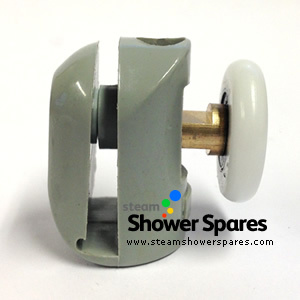 These are fitted to shower doors to enable the smooth opening and closing of your shower cabin doors. We have a range available to cater for single wheel types, double wheels, quick /easy release and in a choice of finishes. Simply choose the ones that you need to replace your worn out wheels. Our door runners are suitable for Steam Showers and Shower Cabins from Bathtek, AquaLusso, Brownes Health, BPS, Cascada, Bath Depot, Lisna Waters, Victorian Plumbing, JT Spas, Cascada Bathrooms, Niko, Ultra Finishing, Alto, OPUS, Indigo Showers, Superior Showers, Better Bathrooms, Brownes of London, Insignia, Heat & Plumb, Divapor, Steam Shower Supply, Eden Steam Showers and many more.are suitale for models by AquaLusso, Bathtek, Brownes Health, BPS and Bath Depot and many others. 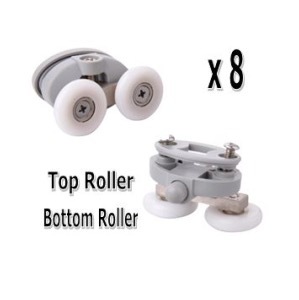 Set of 8 Shower Door Cam Wheels. Twin wheel with polished metal body. 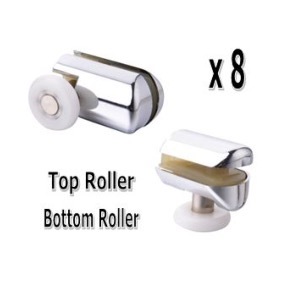 Set of 8 shower door cams. 4 twin wheel, 4 single with quick release wheel. Set of 8 Single Wheel, offset cams. Set of 8 Single Wheel, Brass centred offset cams. 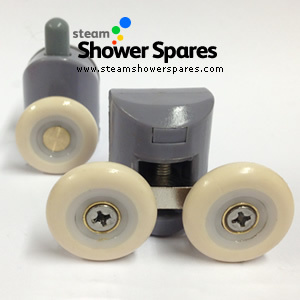 Set of 4 Shower Door Cam Wheels. Twin wheel with polished metal body. 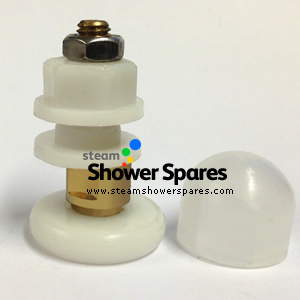 Set of 8 shower door cams. 4 single wheel, quick release cam wheels and 4 single wheel fixed. Set of 4 Single Wheel, Brass centred offset cams. 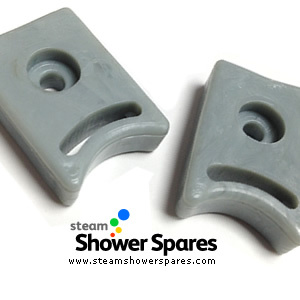 Set of 8 grey shower door stoppers.